I know this is kind of a crazy thing for a beauty lover to admit...but I didn't own a full Naked palette until a few weeks ago. I've had the Naked Basics palette for a while (which I love), but I never knew which full Naked palette to go for. 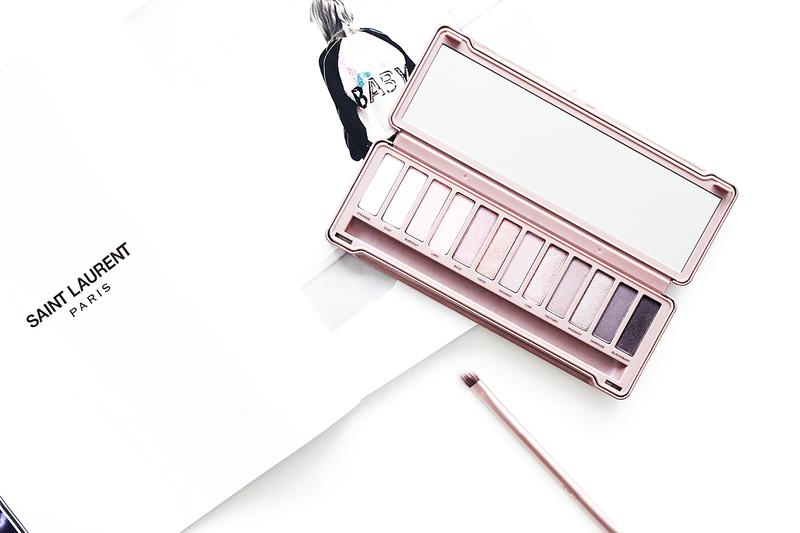 When Naked 3 landed on my doorstep thanks to a surprise package from Urban Decay, I fell instantly in love. It is a stunning collection of rose hued neutrals that is a mixture of matte, satin, and shimmer shadows. The formula is beautiful (like all Urban Decay shadows) - buttery, pigmented, and a dream to blend. The colors have a velvety texture and are very long-lasting. This palette is perfect for a simple every-day look or for a more dramatic evening look. I love smoking out the neutral pink shades with the deeper colors on the end. Below is a run down on each color! Lastly, the packaging is great. The metal casing is sturdy and won't easily damage while traveling. The mirror is super large, and I love how the top can flip under. Do any of you have the Naked 3 palette? Let me know if you do, or if you love/prefer any of the other Naked palettes! I'm thinking I need to add another one to my collection soon! *All product in this post c/o Urban Decay. However this post is not sponsored and all opinions are my own.